From the left: falcon, tim, fnoks, jelena.m, icc, thomasmars and otacke. The H5P Core Team consists of professional developers and designers with commit access to the H5P core repositories, and most of the first H5P content types on GitHub. 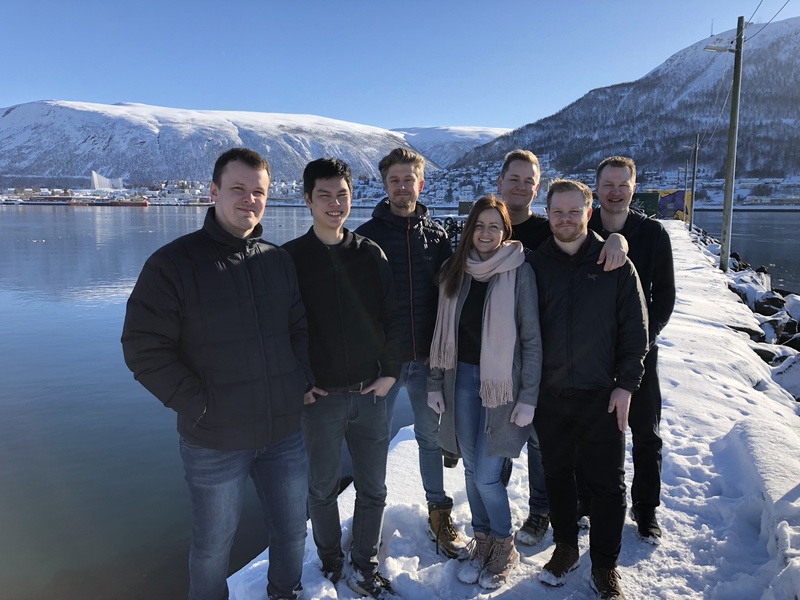 The current team members are all located in Tromsø, Norway and are hired by Joubel to work full time on H5P. The team has a combined experience from interactive content within ed-tech and e-learning of more than 30 years, and more than 35 years of Open Source experience. All have degrees in software engineering and/or design. Other community members will be added to the Core Team as the project keeps growing. We hope to have core team members from all parts of the world in the future. The main goal of the team is to help the H5P community thrive. The team does this by monitoring and making sure that pull requests, forum activity and other activity is being handled. The team also still does a big part of the development of H5P themselves, adding new features, improvements and content types in every release. Are you planning to record or live stream the keynotes, workshops and presentations? This would be great if you could! As far as I know there are plans that the talks are recorded, published, and possibly live streamed too.